How to Choose A 5G Cell Phone This Year 2019? How to Choose A 5G Cell Phone in the Year 2019? 2. Hyper-dense connection with multiple end-devices, for instance lights, weight meters, stereos systems, computers, digital toys, cars, garage, etc. 3. Hyper-low latency regarding international video calls, online first-person gaming, mobile VR/AR experiences and more. In this regard, to choose a 5G cell phone 2019, factors including speed, stable signal connectivity, multitasking ability, battery consumption, storage space, and supported video/image quality will be the top demands that 5G users expect better than 4G phones. And individually, everyone might have their own specific obsessions over 5G mobile phone specs – SoC, CPU, GPU, RAM, battery, camera, storage, and of course –price. 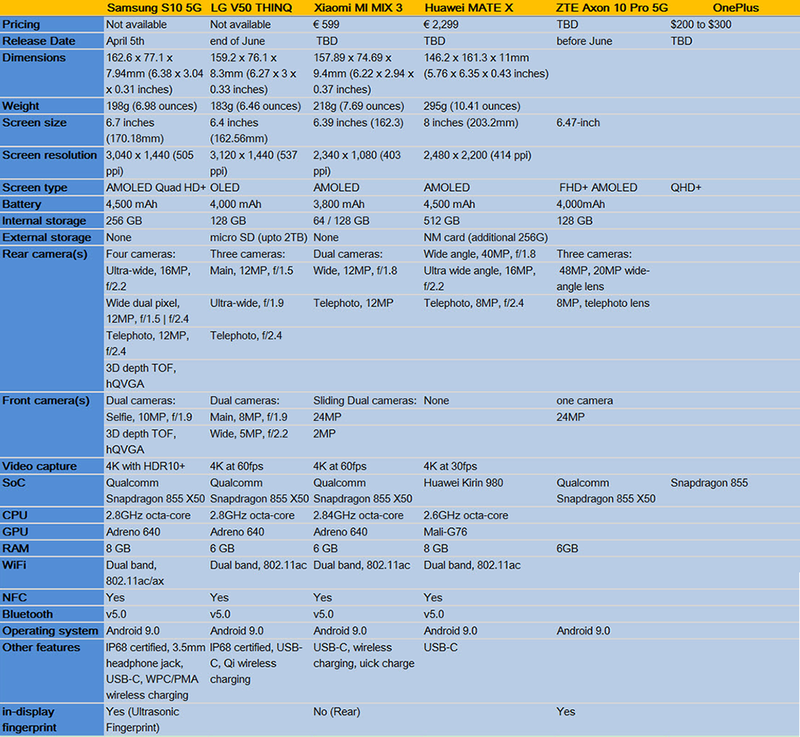 Hence here, we prepared a detailed table of 2019 5G phone specs and reviews based on those given data to help make your decision. Should I Seriously Get A 5G Cell Phone 2019? FAQ1. Can 5G cell phone truly make A BIG CHANGE to our life and work? There are many arguments that 5G smart phones are more of a STUNT for mobile manufacturers to lure buyers in, because 5G might be more important in application areas such as autonomous car driving, internet of things and network diagnosis in telemedicine. FAQ2. For iOS Apple users, do i have to SWITCH OS to use 5G in 2019? It is rumored that Apple's own 5G device won't be released until 2020. And if you decide to get a 5G phone this year, you will probably have to switch to Android. However, it might not worth the trouble changing mobile OS when 5G is still at its adolescent stage. Should I wait for iPhone 5G? You surely can, since most deep Apple ecosystem divers might still not feel comfortable changing side only because of the 5G buzz word. You can still wait for the ideal time when iPhone 5G and the full coverage of 5G base stations join hands in 2020, or you can take both 4G iPhone and 5G Android phone if you have the budget this year. FAQ3. Does it really SAVE MONEY to switch to 5G 2019? When you have to change your old phone, seeing the 5G revolution is at threshold, you might be thinking that directly purchasing a 5G phone instead of 4G phone can save your money on a phone in the middle. But the harsh fact it, the new concept might be heavily taxing early adopters. 2. 5G phone data plans won't be cheap, but 4G data plans are and will be increasingly lower. Carriers might not be able to lower the cost of 5G data bundle at its initial stage. And the pricing of 5G will probably vary depend on which spectrum bands the carriers utilize to deploy the network and what services consumers can enjoy. FAQ4. Can we truly and fully ENJOY 5G mobile network 2019? Don't forget that the 5G infrastructure and data plan have a big role to play here. As long as there is not sufficient coverage of 5G networks, you will not be able to enjoy a guaranteed experience especially when you are travelling frequently. Besides, carriers might not be able to lower the cost of 5G data bundle at its initial stage. 1. Unstable connectivity caused by LIMITED base station coverage, different SoC choice, placing of antennas designed by mobile manufacturers. 2. Battery issue caused by more antennas burried in and more frequent addressing process. Then, Which 5G Cell Phone Should I Choose in 2019? Regardless of its undetermined price which won't be a cheap deal for sure, Samsung S10 5G, viewing from its spec details alone, can be drawn as one of the most decent 5G phone choice this year. Shipped with Qualcomm Snapdragon 855, its noticeably large 4500mAh battery, 3D camera for AR, 4K HDR+ video recording ability, and 8GB of RAM are all taking the lead, standing out from other 5G competitors. In case of connectivity issues, Samsung has also made support for Wi-Fi 6 standard for this model. However, 4500mAh battery in Samsung's theory can be enough to last all day long, but it really depends on how you use the phone. 5G phone might be more like a computer in hand for multitasking usage for videos, music, gaming, AR and you might be making more hi-res video calls than voice calls. And this might be the gap where its wireless charging feature coming into play. Estimated starting price - €799. Confirmed Samsung S10 release date – 5th of April. Compared with S10 5G, LG V50 only builds better at baseband and storage solution. This model sports Qualcomm Snapdragon 855 X50, which means you can get lower battery consumption in theory. And you can upgrade your storage space using MSD card to 2TB. V10 also supports wireless charging and 4K video recording at 60fps. 4000mAh battery is surely not sufficed for an all-day usage, but it gives you the chance to show off wireless charging anyway. 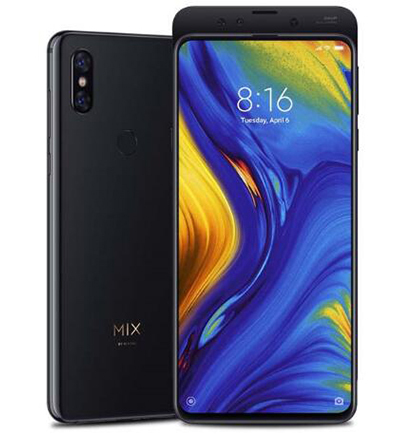 Though without a given price range, this model will be for sure slightly cheaper than Samsung S10 5G, but higher than MIX 3. Estimated starting price - €699. 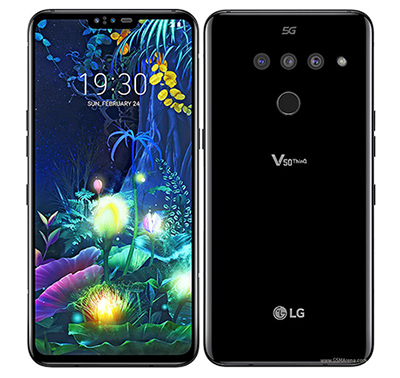 As a strong competitor to LG V50 – the €599 MIX 3 5G also sports Qualcomm Snapdragon 855 X50 with downlink speed up to 2Gpbs. The front sliding camera is an innovative and retro design for users who prefer a whole screen without notch or punch-holes. But the stingy 3800mAh battery without wireless charging feature might rise as the biggest trouble for heavy mobile users. Smaller than S10 and V50, MIX 3 5G surprisingly weighs more than both of them at 218g. 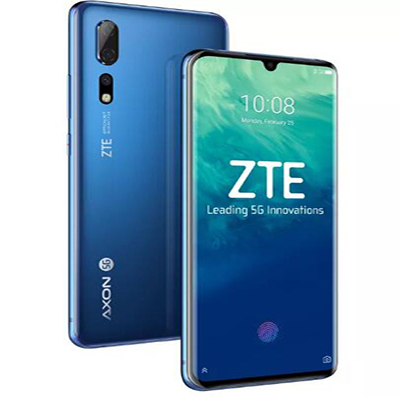 The selling point of Axon 10 Pro 5G might, for one, be its AI engine that not only controls CPU, GPU, RAM, but also used across the rear camera to capture motions, recognizing scenes, adjusting light under portrait mode, and learning user gestures; and for another, its Smart SAR solution that can minimize electromagnetic radiation damage to human bodies which is the top health concern of many 5G phone adopters. However, Axon 10 Pro also lacks wireless charging and has no proper dust/water resistance ability. The stunning price of MATE X at €2299 has already coax tons of 5G phone buyers away, but it won't bother their interest in it. The smart phone sports its self-developed Huawei Kirin 980 SoC which is slightly inferior to Qualcomm Snapdragon 855 X50 and offers a 4500mAh battery and 8GB of RAM plus 512GB of storage. Though without wireless charging ability, its fast charging speed- 30 minutes to add on 85% battery power can be considered a fallback solution. 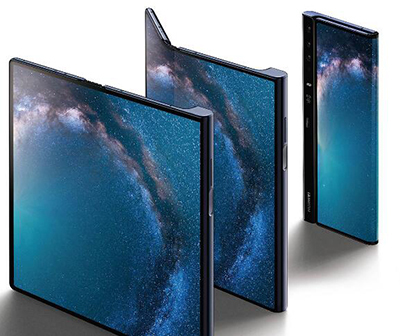 As eye-catching as its foldable design is, this finish also breeds the most questioned screen scratch issues. You won't be seeing this model in person until May or June of 2019. Other possible 5G phones to be release in 2019, including Oneplus, Royole FlexPai, VIVO, OPPO, are still under the curtain. But we will provide instant update as soon as they announce any more details. – buy a 4G phone if you think the so-called 5G revolution is just an improved 4G in the coming two years. 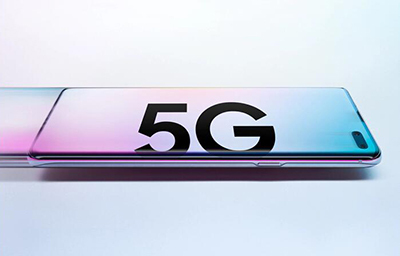 – buy a 5G phone if you believe 5G rollout is going to change your life and work instantly, and for that, Samsung 5G S10 would be an ideal choice among all the others to let you enjoy both the new generation network and largely upgraded techs- well, comparatively speaking. The follow-ups are LG 5G and Xiaomi 5G with an average level of device specs and more affordable prices. After all, in 2019, 5G from business side, it urges everyone be a pioneer, but from consumer side, it still baskets many doubts. FAQ5. Will the network speed of 5G change the experience of general consumers? With manufacturer's competing to roll out the first-gen of 5G cell phones, the hype for the wireless technology is hitting fever pitch. Comparing to 4G/LTE gigabytes speed, 5G is boasted for tens of gigabytes. Utilizing mmWave (millimeter wavelength), 5G technology explores in the electromagnetic spectrum a broad range of radio frequencies from 24GHz to 90GHz that is currently unused in 4G/LTE. What does that mean? Theoretically 10 times of the transmission speed comparing to 4G, namely, faster networks and lower latency. But the speedy 4G/LTE networks are already doing satisfying job in video calls, streaming services and instant chat, things that general consumers love to do with their phones. In other words, there is simply no reason for the vast majority of consumers to set their hands on an eye whopping pricy 5G cell phone or the expensive 5G data plan at this time. Besides, the world has yet to see any killer app made possible by nationwide 5G network. However, for certain customers, multi-gigabit services that cater the need to download digital content with a blink of eye and the requirement for an ultra-low latency connection could bring a brand new experience comparing to what they are doing now with 4G. Typical examples could be mobile gamers and live streaming addicts. FAQ6. Switch to Android 5G phones? Will there be a 5G iPhone in the near future? In order to enjoy the 5G network, you will have to buy a phone that has 5G-ready modem baseband processor built-in. 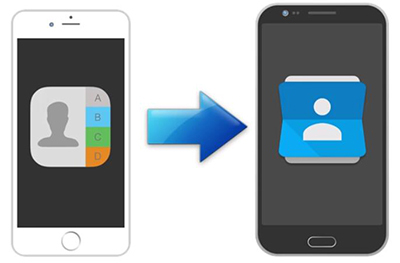 The baseband is the chip in the mobile phones that connects to mobile networks to deliver that always-connected experience. For now, 5G-ready handsets on the market are all run on an Android system, as you can see from CES and WMC 2019. If you are an Apple fan, you might have to wait until 2020 to enjoy a 5G iPhone. On the one hand, Apple has typically waited until networks are more widespread to add support for the next generation of networks to its devices, like it does for 4G. On the other hand, it is said that Apple's delaying of 5G phones could be related to its feud with Qualcomm, a leading chip manufacturer, and the result is Apple's alliance with Intel, another chip-maker that has yet churned out 5G baseband. There are also arguments that 5G smart phones are more of a big selling point at the end of mobile manufacturers to market the products, because 5G may be more important in application areas such as autonomous car driving, internet of things and network diagnosis in telemedicine. FAQ7. Can I enjoy 5G networks immediately after purchasing a 5G cell phone? Don't fall for the operator's game of trying to be the "first" with 5G, because a national 5G network won't be deployed until 2020 or 2021. While we can sympathize with the desire of enjoy the newest gadgets and tech, rushing to buy a 5G-ready handset isn't the end of the story. It is the infrastructure and data plan that really matters. As long as there is not sufficient coverage of 5G networks, you will not be able to enjoy a guaranteed experience especially when you are travelling frequently. Besides, carriers might not be able to lower the cost of 5G data bundle at its initial stage. If you cannot wait to be a first-adopter in this 5G hype, make sure 5G coverage is widely available in your areas in the near future. Also, the pricing of 5G will probably vary depend on which spectrum bands the carriers utilize to deploy the network and what services consumers can enjoy. T-mobile is planning to provide both in-home and mobile service. Taking advantage of the right mix of available spectrum from Sprint and T-mobile (two carriers that are in the process of merging), the New T-mobile boasts to light up a broad and deep nationwide 5G network faster than either company could have done separately. To do this, T-mobile is using both the "low band" 600MHz spectrum for long-range connectivity and the "high-band" mmWave (millimeter) for short-range transmissions. The reason is that, mmWave can only provide 5G coverage across less than a square mile from a single tower while low-band wave covers hundreds of square miles, making it the backbone to build a broad nationwide 5G network. While the 600MHz (extended range LTE) has been established in more than 1,500 cities and towns in North America and Puerto Rico, T-mobile Chief Technology Officer Neville Ray confirmed that phones that support T-Mobile's 600 MHz spectrum won't be available until the second half of 2019. As for data plan, T-mobile promises not to raise prices, but subscriber might be charged for additional 5G services. It currently offers a standard unlimited plan starting from $60- $70/month, depending on whether you need free Netflix or other features. Given that AT&T's 5G E (5G Evolution) is merely an update with faster speeds on the existing LTE network, and is not actually 5G with regard to the spectrum bands it utilizes, its data plan and coverage is not discussed here. Verizon's Mobile service–5G Ultra Wideband–will be launched on April 11, 2019 in limited areas of Chicago and Minneapolis. Consumers will have to pay an extra of $10/month with the existing unlimited plans. 5G Home is another plan offered by Verizon, which aims mainly for residential networks. It is currently available in limited areas of Los Angeles, CA; Sacramento, CA; Houston, TX; and Indianapolis, IN. Customers will be charged $50-$70/month, first 3months free. Additional fee applies depending on which service you want. 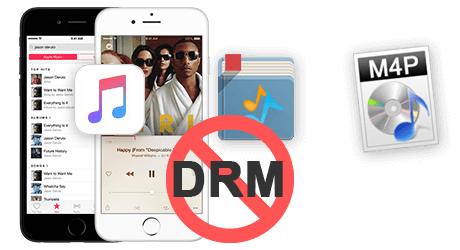 How to Transfer Apple Music to Android ?